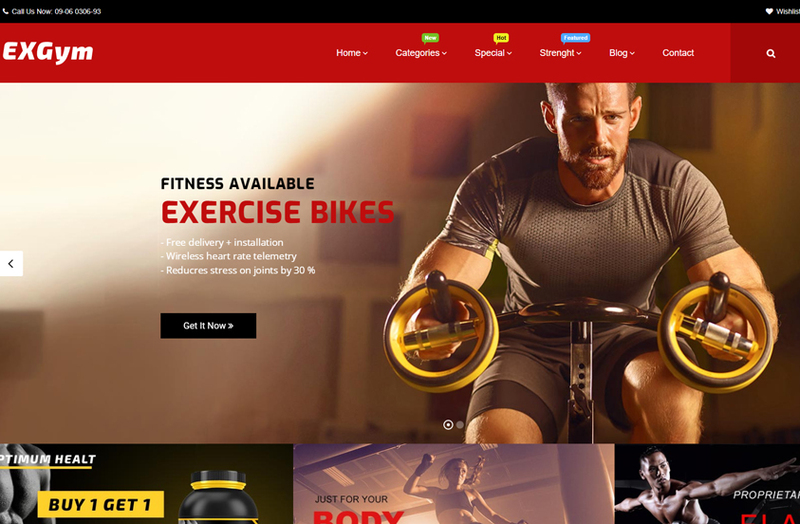 If you are running or tending to build a stunning online store for sport club, fitness center, or sports shop, you definitely need one of the best sport WordPress themes. With a powerful WordPress theme specially designed for sport website, your sport shop will be featured by most of advanced functions for a perfect e-commerce website. To help you save a lot of time and effort, we go ahead and select Top 10+ Best Sport Themes for WordPress from hundreds of templates. Also, Top 10+ Best Sport WordPress Themes are collected based on a range of criteria such as rating and review, price, outstanding features, compatibility, etc. Let’s explore the list to pick out the perfect WordPress theme for your sport website! 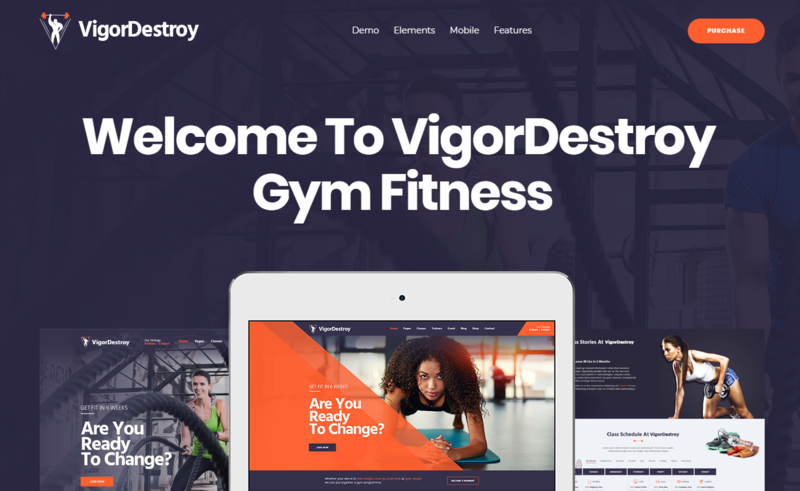 Vigor is an extremely fast, aesthetic, clean, modern and flexible WordPress Fitness Theme. It’s perfect for Coach – Sports Clubs, Fitness Centers & Courses, Gym, Fitness Clubs, Personal Trainers, and Health Centers. Built with Bootstrap, the best WordPress Page Builder, Slider Revolution and numerous customization options , Vigor will optimize your site performance significantly. Moreover, Vigor is one of the best sport Woocommerce WordPress theme that is fully responsive in any device. The theme comes with Mobile Optimization, Search Engine Optimization, Conversion Rate Optimization and Ease of Use. Also, it supports Multilingual & RTL languages and 1-click demo installation to setup your website with a blink of an eye. ExGym is a good-looking Gym WooCommerce WordPress Theme perfectly for Fitness Center, Sports, Gym & Fitness, Yoga studio websites, Fitness classes, Yoga meditation, Gym, Dance and Dancing class. With special design – flat designs and lively images, colors, simple layouts, the theme will catch visitors attention at the first time they access your website. Built on Open Source WordPress, the theme is super easy to use and customize as your desire. Moreover, as one of the best sport WordPress themes, ExGym offers you 05+ amazing homepage, high Revolution Slider , Visual Page Builder, powerful Mega Menu, 18+ pre-made elements, and SEO Optimization. With many powerful plugins and advanced features, it will push up your website at the top quickly. The next theme of Top 10+ Best Sport WordPress themes is Blink Sport. 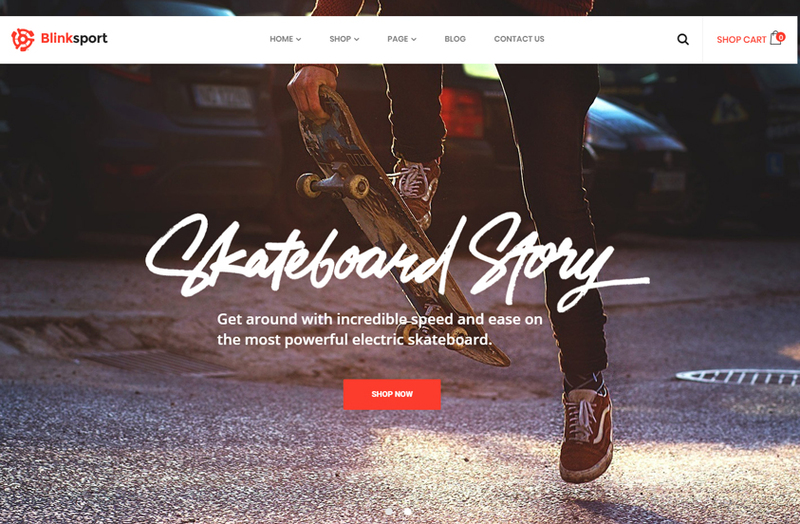 It’s a fast, beautiful and creative skateboard and sport Woocommerce WordPress theme – a smart choice for sports shops such as ski equipments, skateboards, electronic skateboards, snowboards, surfing, mountain bikes, stunt rider, and life coach. Bink Sport is outstanding with Responsive & Retina Design, Ux SEO Friendly, Flexible Theme Setting, Unlimited Color Options, Mobile Optimized, Highly Conversion Rate Optimization, and Unlimited Customize. It’s an excellent combination of King Composer, Revolution Sliders, One Click Installation, Megamenu Integrated, RTL Supported, Font Customizer, Powerful Product Filter, Quick View, Detailed Product Page, and Deal Products. With 04+ awesome hompage demos and a lot of functional detailed pages, you can build any stunning sport online store effortlessly. Dropzone is one of the best Sport WordPress themes for you choice if you’re interested in skydiving clubs, parachuting trainers, adventurous camps, diving schools, extreme sports center, and skydiving instructors. The platform is well-organized and clean code with 02+ homepage layouts, multiple sliders, ultimate aminated effects and 1-click installation. What’s more? Dropzone is well optimized for Speed, Mobile, Conversion Rate, SEO and Unlimited Customize. This wordpress theme for sport can display well on any device. Besides, it comes with Multilingual & RTL Support, WPML compatibility and includes a lot of advanced plugins such as Visual Composer, Revolution Slider, Opal Teacher, and Opal WooCommerce Booking. Single Booking Product is integrated in WooCommerce with full options of Booking Services, Booking Setting, Booking Programs and Booking Map. With diverse options, Dropzone supports you to create any professional page such as Blogs, Event, Profile, and Coaches. Another platform of top 10+ best sport WordPress themes is Soccer – a great option for Soccer, Football, Basketball, American Football, Sport News, Sport Magazine, Soccer Club, Soccer Team, Football Club, and Football Team. The Sport Woocommerce WordPress theme with dedicated functions helps you share your sport passion. Soccer has a great look with fully responsive web design, 02+ pre-built hompage styles and 06+ pre-defined color styles. Moreover, the sport theme comes with WordPress Mega Menu, Visual Composer, Woocommerce, WPML and lots of fantastic features that can help you start your ecommerce project right. 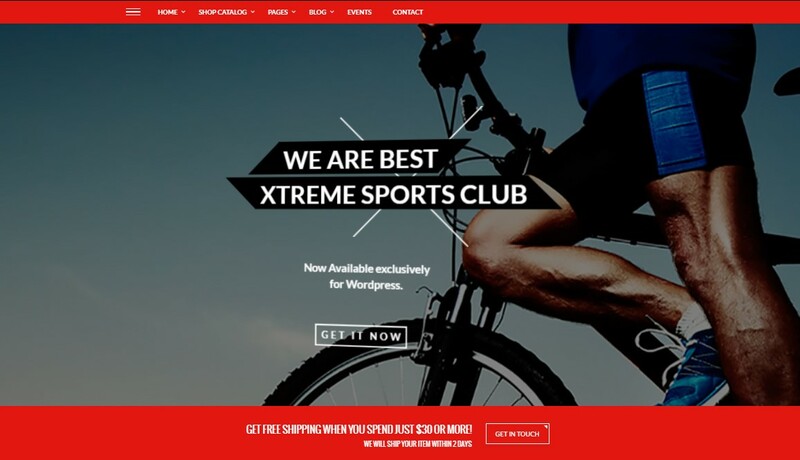 Xtreme Sports – one of best sport Woocommerce WordPress theme is a creative, modern and responsive design for any kind of sports website, extreme sports, sports club or sports online shop. The theme is more powerful with Visual Composer drag & drop page building, real time & live customizer, Slider Revolution integrated, 1-click demo included and other advanced features. Therefore, you can create your own sport club website effortlessly. If you are interested in motorcycle club, Bikersclub will be one of the best sport WordPress themes for you. The theme with black & white color, dark style, strong angle, and cube will perfectly suit for Bikes/Motorcycle Owners, Bikes Clubs, Bike Shop, Moto Club, Cyclists, etc. With 03+ creative hompage layouts, ready-made styles, inner detailed pages and ease of customization, you can style your pages as your desire. Besides, the sport Woocommerce WordPress theme is built with King Composer – the fast page builder, 1-click demo installation, Responsive & Retina Design, Ux SEO Friendly, Flexible Theme Setting, Unlimited Color Options, Mobile Optimized, High Conversion Rate Optimization and Unlimited Customize. Also, it includes Premade elements, Available widgets, Blog post, Woocommerce supported, RTL language, Revolution slider, Contact form 7, Awesome google fonts, and Gallery layouts that are all essential to create any dedicated website. 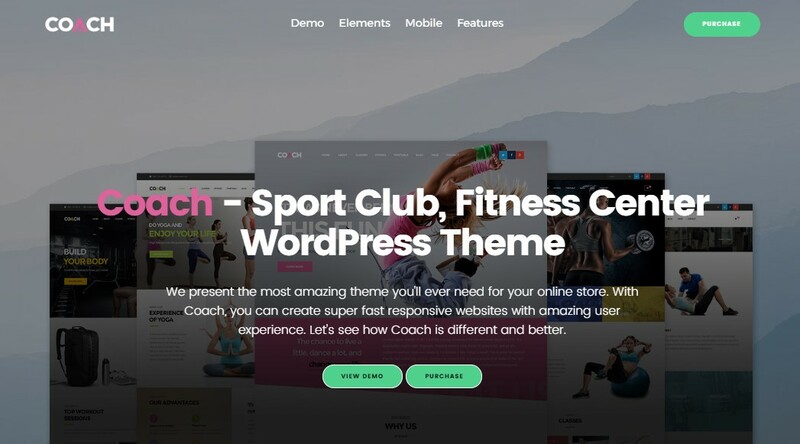 In the top 10+ best Sport WordPress theme, Coach is a great theme for Gym, Sport Clubs, Fitness Centers, Personal Trainers, Health Centers and health-related business such as Yoga, Boxing, Zumba, Training Classes and Courses. Coach offers you 4 impressive homepage demos with various sliders and banners. In addition, it is outstanding with powerful features and plugins such as 1-click demo installation, Megamenu, Grid & List Classes, Timetable Management, WooCommerce Ready, Opal Coach, Timetable Responsive Schedule For WordPress, and Ease of Customization. Thus, don’t miss out this sport theme for wordpress in your collection! 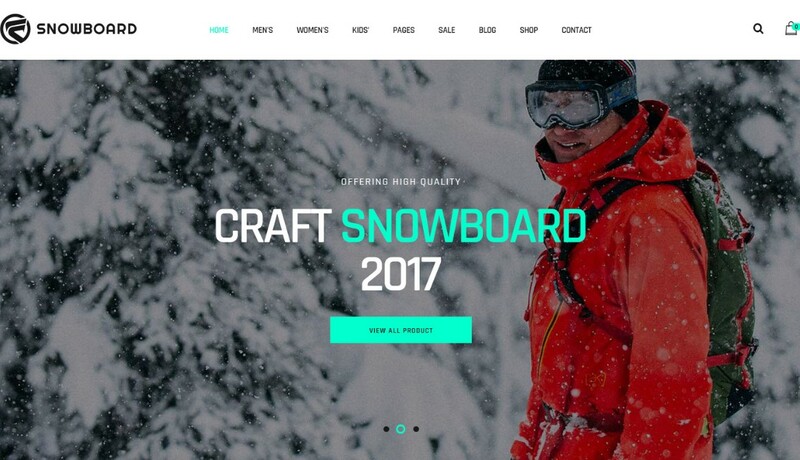 Snowboard is one of top 10+ best sport WordPress themes for sports shops selling ski equipments, skateboards, snowboards, mountain bikes, stunt rider, life coach, etc. It’s a modern, flexible and sporty design Woocommerce template with Responsive & Retina Design, Ux SEO Friendly, Flexible Theme Setting, Unlimited Color Options, Mobile Optimized, High Conversion Rate Optimization and Unlimited Customize. The theme provides you 04+ professional homepage demos and multiple inner detailed pages for your choice. What’s more? It’s a special combination of emotional and functional elements including King Composer, Revolution Sliders, 1-click Installation, Megamenu Integrated, RTL Supported, Font Customizer, Testimonial, Powerful Product Filter, Quick View, etc. The last template of top 10+ best sport WordPress themes is Training Zone. 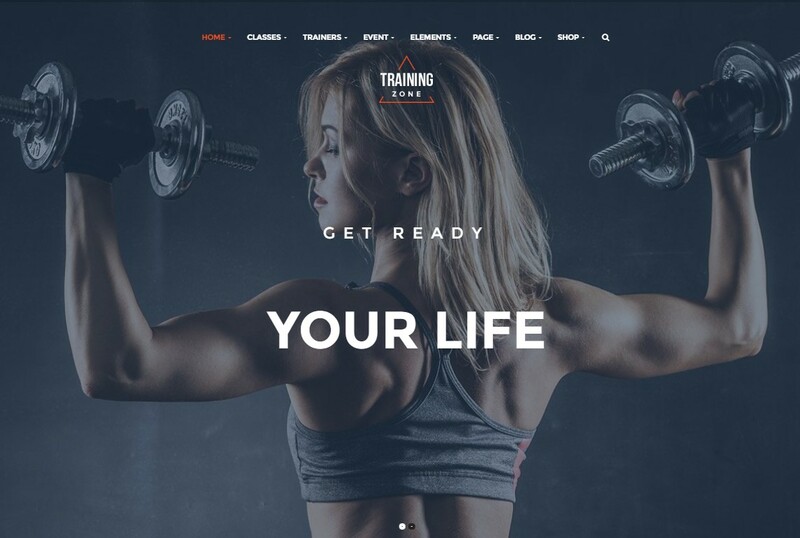 It is a beautiful, professional and multi-purpose WordPress theme for gym, boxing, yoga, dancing, fitness center, health clubs, sports review magazine and sports store. Beside fully responsive web design and retina ready, Training Zone offers you 04+ impressive homepage layouts and works well with WPML, Slider Revolution, Visual Composer and other advanced features you cannot ignore. Moreover, with colorful images and impressive effects, you can create any trending website for training courses, lessons & introduce teachers, athletes, and technical equipment for students.